Why Is Coolant / Antifreeze Different Colours? There are historical reasons why coolant/antifreeze comes in different colours – the colours related to what the product was made from. These days different brands use different colours for coolant and it doesn’t necessarily tell you all that much about what’s in your car, so using a product like Prestone which is guaranteed to mix with any colour of coolant/antifreeze is the safe way to top up. Read on for more detailed information and tips. Have you ever wondered how pink, orange, blue and green engine coolants differ from each other? Perhaps you’ve bought a car, checked the coolant/antifreeze reservoir for the first time and noticed it was different from your last car. The colour of engine coolant isn’t there to make it look pretty. There are historical reasons why it comes in different colours, and different brands use different colours as well, but these days it doesn’t necessarily tell you all that much. However, it’s important to make sure you’re putting the right liquid into your car, so here we give a bit of insight into the differences, and also provide a solution in case you’re confused about which type of coolant/antifreeze to use or worried about what’s in your car. We make it easy and simple for you change or top up your coolant/antifreeze. 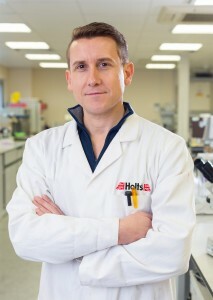 To do this, we spoke to our Global Technical Director, Bruce Ellis. Bruce heads up the Research and Development team here at Prestone, and is on hand to share his knowledge of coolant/antifreeze. In days gone by, the colour of coolant was determined by the type of chemicals used to prevent corrosion — meaning you could tell a lot about the type of coolant used by its colour. Older coolants that used Inorganic Additive Technology (IAT) were usually blue or green in colour. With these types of coolants, you’d normally have to change them every two years, or every 60,000 miles. Next came Organic Acid Technology (OAT) coolants, whose chemical make-up offered better protection for cooling systems, and extended the life of the coolant. These ‘Extended Life Coolants’ (ELC), were usually orange in colour and offered a five-year or 100,000-mile change interval. They could be a blend of IAT and OAT chemicals, and were therefore named ‘Hybrids’. Newer coolants such as Prestone, based solely on the OAT chemical make-up, now offer a 10-year or 150,000-mile change interval thanks to their superior corrosion protection. Prestone is yellow, but many other coolant manufacturers use different colours. These days, there’s no real reason for a coolant manufacturer to use a certain colour, so it’s not easy to know what chemicals are in the coolant just by seeing whether it’s blue, green, yellow or orange. That’s why it’s so confusing – you can open up the bonnet of a new car and have no idea what the coolant is based on. Similarly, if you buy a second-hand car, the colour of the coolant gives you no idea as to when it needs to be changed. 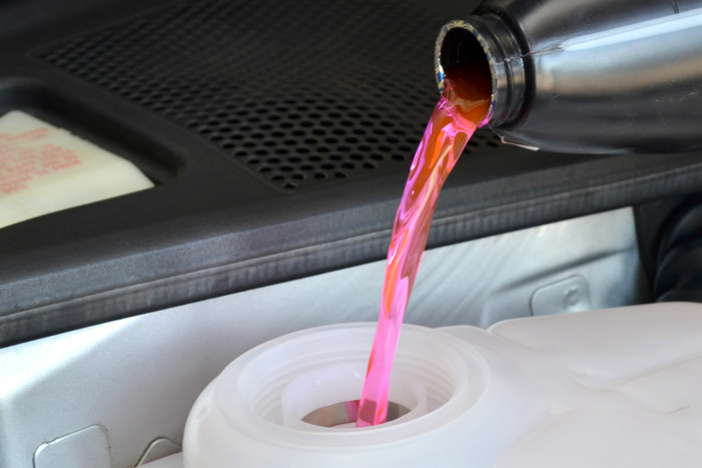 Example — you buy a second-hand car and it has got pink coolant in it. You can see from the service record that it has had a coolant service within the last two years. But is it aftermarket or OEM spec? Will it last for two years or longer? 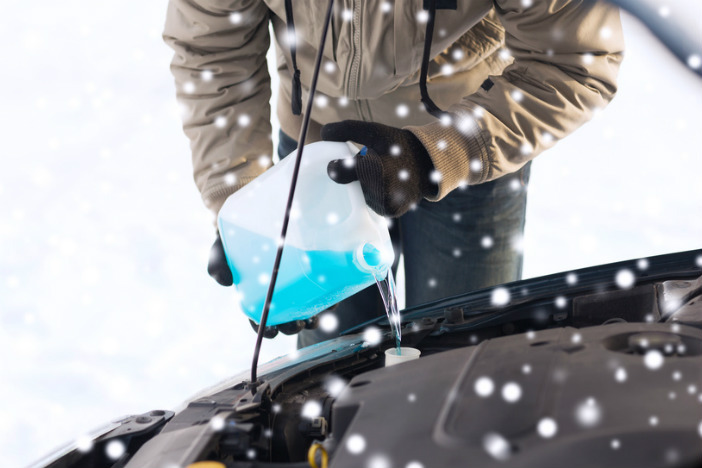 The best thing to do when you aren’t sure what kind of coolant is in your car is to use Prestone Coolant/Antifreeze, either at service or to top up. No matter what car it is or what coolant is in it, Prestone Coolant/Antifreeze is developed to work with any other coolant, and can be mixed safely without worrying about hampered performance. Using the product at the change interval means complete peace of mind, as the coolant will offer protection for 10 years or 150,000 miles, which is likely to be the life of the car. Remember, Prestone Coolant/Antifreeze is guaranteed for all cars and can be mixed with any other colour of coolants. Our specialist formula offers protection in all extremes, from -37°C to 129°C, and is available in both ready to use and concentrated form. For more information, visit the Prestone homepage. What Happens to a Car without Coolant/Antifreeze? What is a Coolant Temperature Sensor?